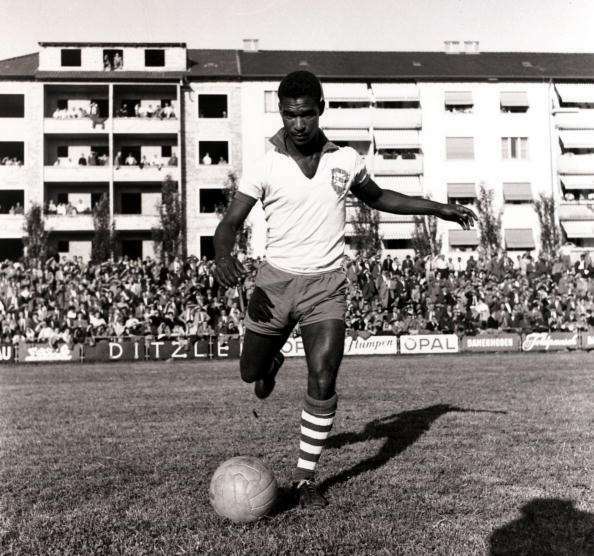 Pele, Garrincha and co get all the credits for Brazil’s 1958 and 1962 World Cup triumphs, but the engine of the team who gave Pele and Garrincha the freedom to terrorise defences was a midfielder who went by the name Waldyr Periera also known as Didi. Didi had excellent passing range, technique and stamina but what he is really renowned for is his unique and excellent free-kicks. A dead-ball specialist he is credited with inventing the folha seca (dry leaf) free-kicks which has later extensively been used by free-kick maestros like Cristiano Ronaldo and Juninho. The legendary Didi’s best moment was when he was awarded the FIFA World Cup Golden Ball (Player of the tournament) for his stunning performances in the 1958 World Cup. He retired after the 1962 World Cup where once again he played a starring role in Brazil’s spectacular triumph.